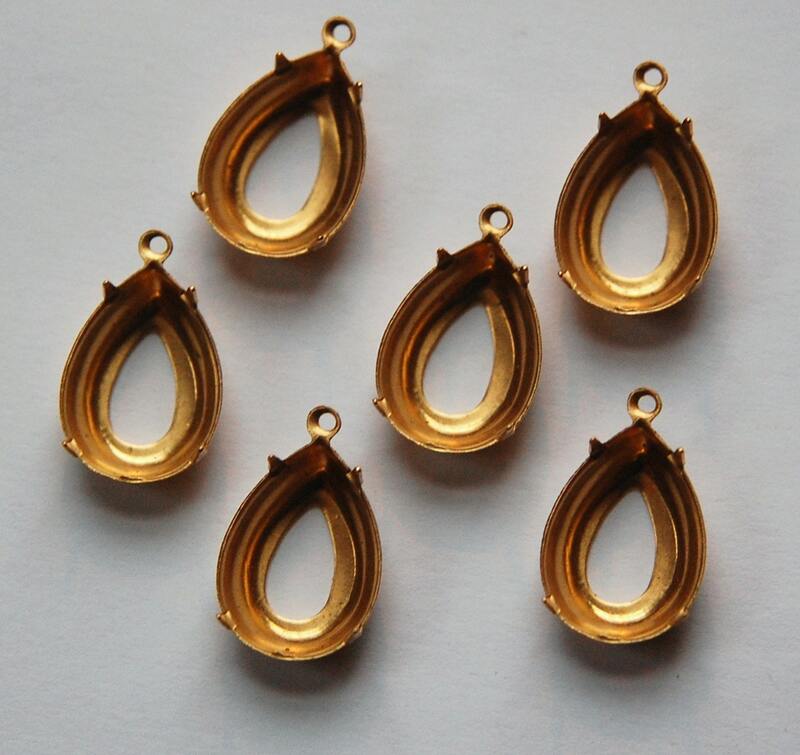 These are raw brass teardrop settings. They have an open back and have prongs to set your stones. There is a loop for attaching to your creations. 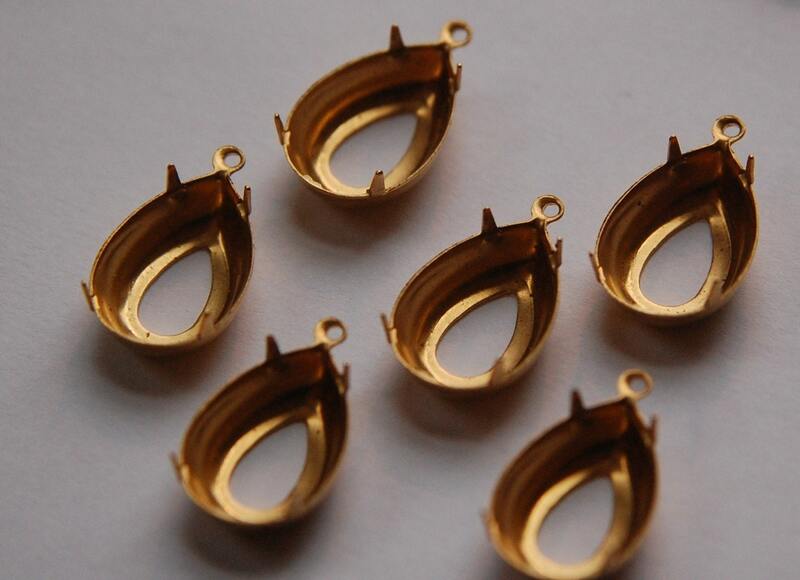 These hold a 18mm x 13mm stone. You will receive 6 pieces.